What is CIBIL Score and How to Improve CIBIL Score? We Got Few Queries on CIBIL Score ? What is CIBIL Score and why it is important, how to improve it, whats are needs to improve it ? etc etc. So, here we are covering about CIBIL Score (CREDIT INFORMATION BUREAU INDIA LIMITED). Like you got your behavior certificate in your college/school, here in financial term CIBIL is score which will let Bank and other financial organisation know that hows your (transaction) behavior with banks, do you pay your EMIs on time, Do you have any Due's or not, how much is your bank balance etc. So, CIBIL Score is kind of regulation which will generate score card based on your financial transactions. If you are not paying EMIs on time, you had lots of Due's then your CIBIL Score will be low. If you are paying everything on time, your CIBIL Score will be quite good. My CIBIL Score is Low, How to Improve it? First of all, for those who don't know their CIBIL Score, can just fill this form, (pay Rs.450/- as fees) and check their CIBIL Score asap. Check your Score and also check why it is low. 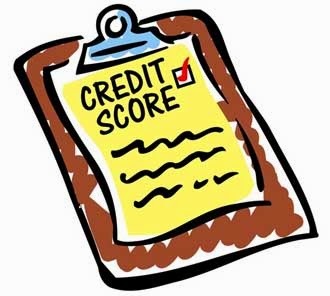 How many loans you have, how many credit cards you have, etc are factors affecting to your Score. The most important factor of CIBIL Score is you need to keep making all payments on time. If you make payments after due date, it is going to affect your score card negative. If you are manually paying Loan EMIs, Opt for ECS. So, can your all EMIs will be deducted from your Bank Account Directly. No need to go to bank and pay them personally, let bank do your work. Play Smart and improve your score easily. So, no more due dates for EMIs. This one is most important factor. There are two kinds of Loan, Unsecured and Secured Loan. Secured Loans, i.e Home Loan and Education loan, is beneficial to banks and they are always ready to give you Home Loans, why? Because if you don't pay your loan, they will sell it out and get their money easily, Real Estate always save you. So, its quite Low Risk Loan for Banks, but Unsecured Loans like Car Loan, Credit Cards, Personal Loan are high risk loan to Banks, quite risky to land money to someone for vehicle, if they don't pay, many times they don't even get their money back by selling vehicle. So, go for 80% Secured loan and 20 % Unsecured loan. No Doubt it has so many benefits but Don't take too many credit cards. Some people show behavior like opt all credit cards which are available. No, Don't Take it, it is only going to benefit Banks only. If you need, one credit card is more then sufficient. Or if you need more then 2 or 3 is more then enough i guess. For salaries person with 4 member family, 1 credit card is enough, for more, 2 or max to max 3. More credit card will show Credit Hungry behavior to banks, that's not good for CIBIL Score. Check your Credit card payment date and Use CC wisely. Yes, Make All Credit card bills payment on time, Don't buy useless things via CC, use it as less as much as possible. If you have CIBIL Score more then 700, you are 80% more eligible to get Loans. One of my friend who wants 30Lac home loan was rejected by bank as his CIBIL Score was <600. So, Show your worth, why you are important to bank. Most of banks nowadays use CIBIL Score to approve loans. If you have any query related to this, please do comment below, thank you :).